This beautiful window whispers of a time long past, a time when the air was cleaner, children were happier, and even a mild infection could take down scores of Sims and even their remote-controlled cars. 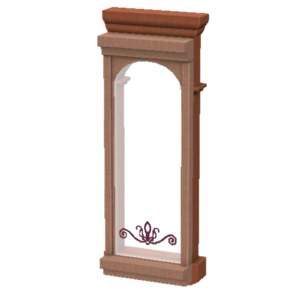 Historically accurate, these genuine faux reproduction stencil-art windows look stately in any home or business. With Fleur de Glee, you're practically antique! Geezer! 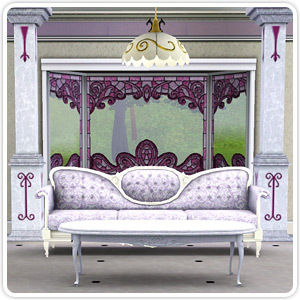 Transform your home into an enchanted land with these lovely items that look like they’ve been pulled directly from a storybook, and let your Sims live happily ever after. Unlock your imagination and make it a reality with this exciting compilation. Play out your own fairy tale adventure and don't look back. Your ‘Once Upon a Time’ begins here. 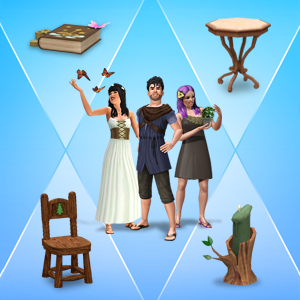 Transform your living room into an enchanted land with these lovely items that look like they’ve been pulled directly from a storybook, and let your Sims live happily ever after.